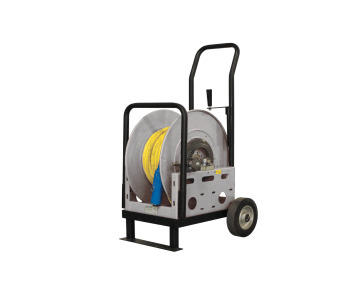 TPC Wire & Cable Corp. offers both large and small cable reel racks to help you organize and properly distribute your cord, cable and wire onsite. 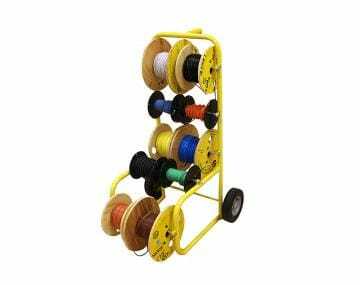 Our larger cable and wire reel rack measures 120" high x 48" wide x 36" deep and is adjustable for up to 60" diameter reels. 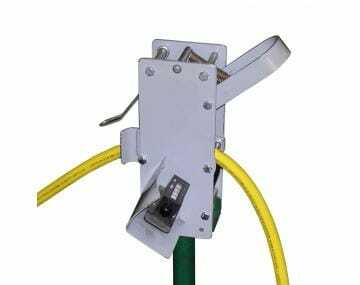 Its heavy-duty 12 gauge steel upright frame can support up to 2,000 lbs. per level with a maximum capacity of 10,000 lbs. 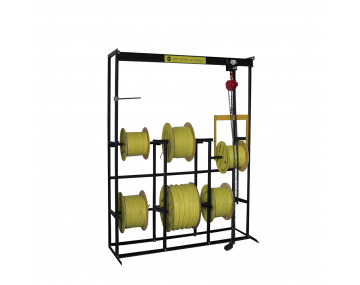 Our smaller reel rack accommodates various TPC cord and cable reels up to 30" in diameter and 20" wide. Overall it measures 96" high x 48" wide x 36" deep and the heavy steel and welded construction can handle 1,000 lbs. per level and a maximum capacity of 3,000 lbs. 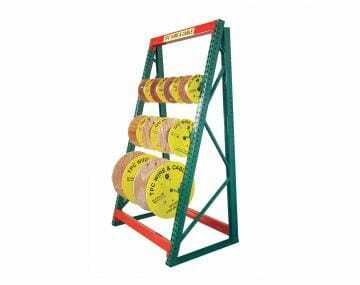 Please click the image of the cable reel rack that best suits your needs.